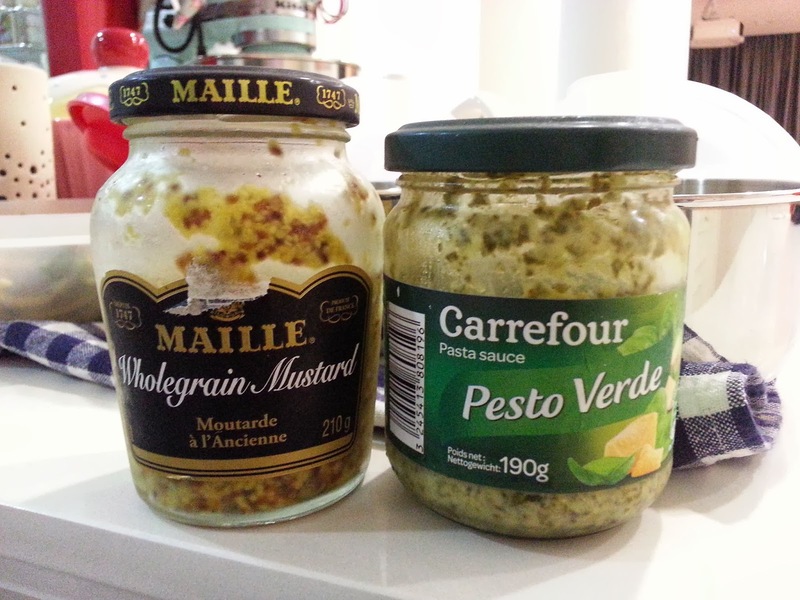 Tis the night that I prepare my lunches for the next couple of days - usually three days worth of lunch. I do not enjoy eating out while at work but I don't mind eating the exact same home cooked lunches few days in a row. So, my lunches are prepared, usually on a Sunday night and on Wednesdays nights. I used to prepare sandwiches or wraps in the morning before heading to work, but I prefer to sleep in a bit more instead (",) ... so it's preprepared refrigerated lunch boxes for now. 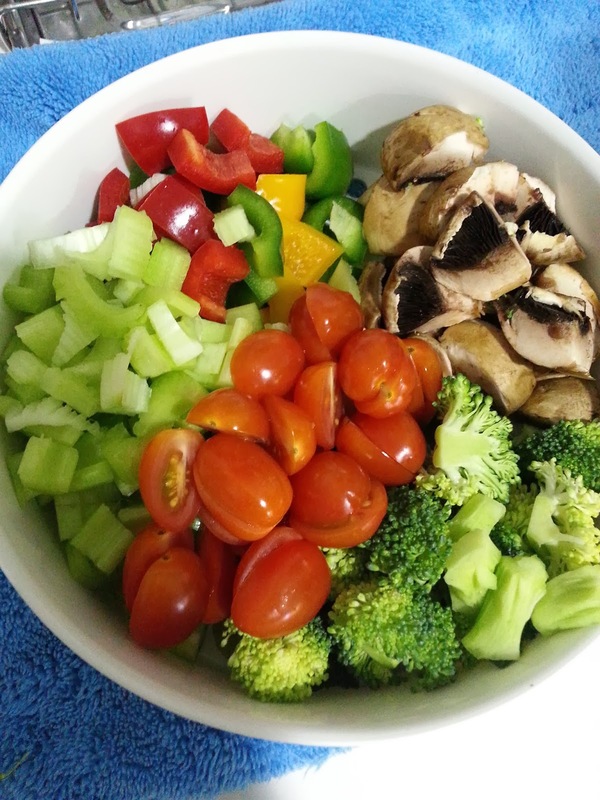 Tonight, I've celery, bell peppers, tomatoes, mushrooms and broccoli. Coat the pan with olive oil and in goes the ingredients... and swish them around a little before I added the seasoning. 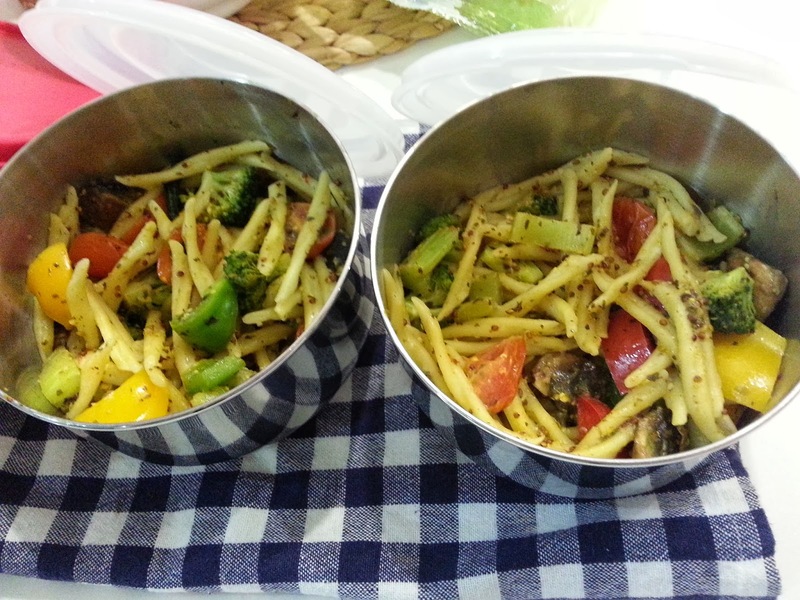 For this veggie pasta, I added some wholegrain mustard and pesto. When the veggies are well coated with the seasoning, in goes the pasta that I've boiled earlier. Stir it all up and let it cook for a bit. 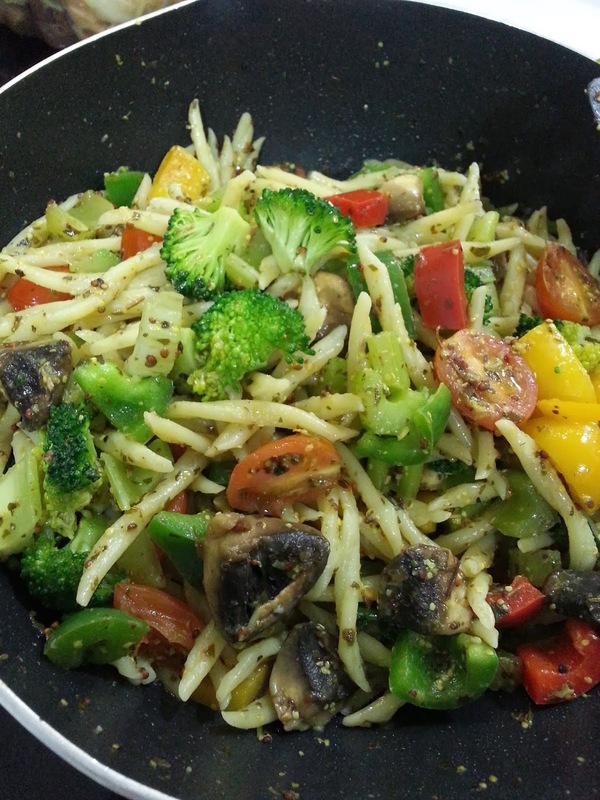 I try not to cook my veggies all the way since I heat them up before eating which in turn cooks the veggies further. 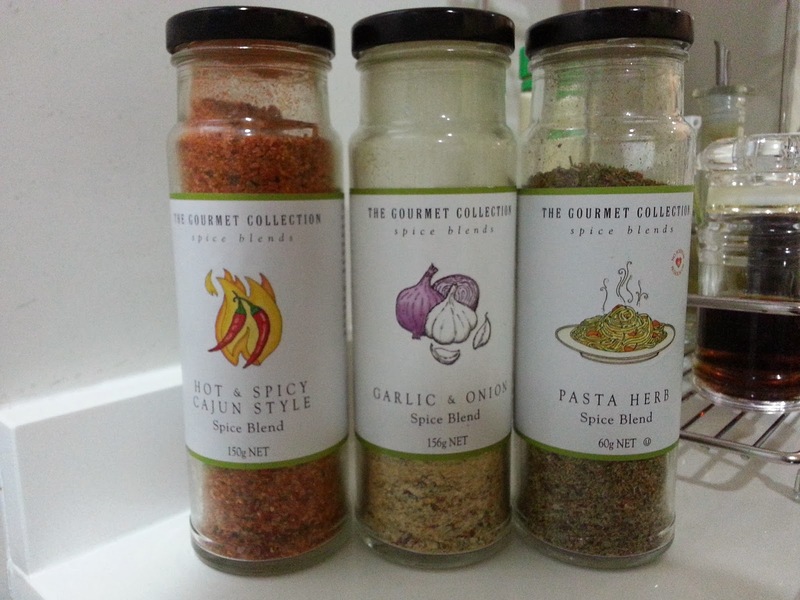 Just FYI, here's the other bottles of seasoning that I alternate with. I try not to use tomato or cream based sauces for my packed lunches coz the idea is to eat healthy and sauces are higher in calories as well as salt content.